This will be a short edition of The Big Bong Book Club. I finished this novel awhile ago and I watched the movie shortly after then, but I'm currently writing the piece now. For those of you unfamiliar with this feature, I read the 007 books in chronological order (those who have a movie counterpart) and then I watch the film shortly afterwards to do a comparison between the two. You can check out the previous features on this blog (Casino Royale, Live and Let Die, Moonraker, Diamonds are Forever, and From Russia with Love). For this edition of the book club, I will be taking a look at James Bond's first adventure, according to the movie franchise: Dr. No. The Story (novel): After recovering from poisoning, James Bond is set on a simple assignment to Jamaica to learn about the disappearance of an MI6 agent. 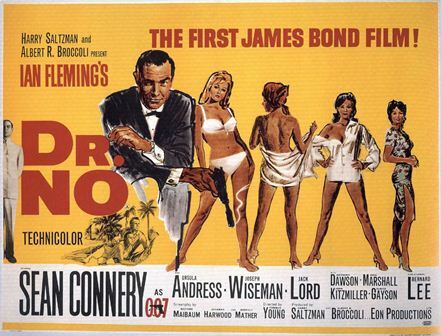 The Story (movie): James Bond is sent to Jamaica to investigate a British Intelligence Station Chief's disappearance. 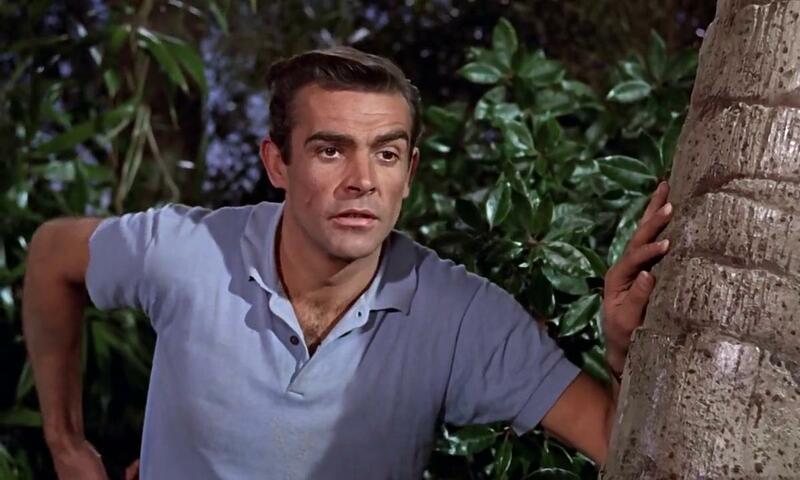 Since Dr. No is the "first" James Bond movie adventure we're introduced to as viewers, a few details are changed to accommodate this new timeline. References to past characters and actions from the book series are omitted and the history of certain characters with 007 are changed to be new introductions instead. 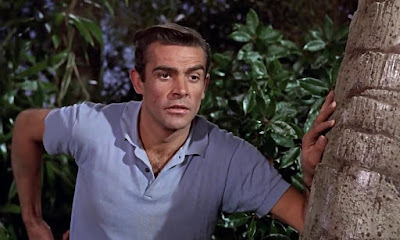 It's nothing major that alters the main theme of the story (Dr. No is still menacing and he is a member of SPECTRE), but it is a noticeable difference after reading the first few books and connecting these characters to past scenes in the previous novels. Similar to my conclusion from Diamonds are Forever, I wasn't particularly fond of either pieces. Be it that Dr. No was the first film from the '60s and the series was still finding its way OR the book coming off as James Bond's "relaxed" adventure, Dr. No didn't captivate me as a story. The certain aspect which could have pulled the movie ahead compared to the book is potentially the iconic scenes from the movie. Honey Rider rising from the sea, James Bond driving his car for the first time, Dr. No wearing the suit - there are many moments any 007 would love to see on film. These are all small cosmetic points, but they did help lean toward my ultimate decision. 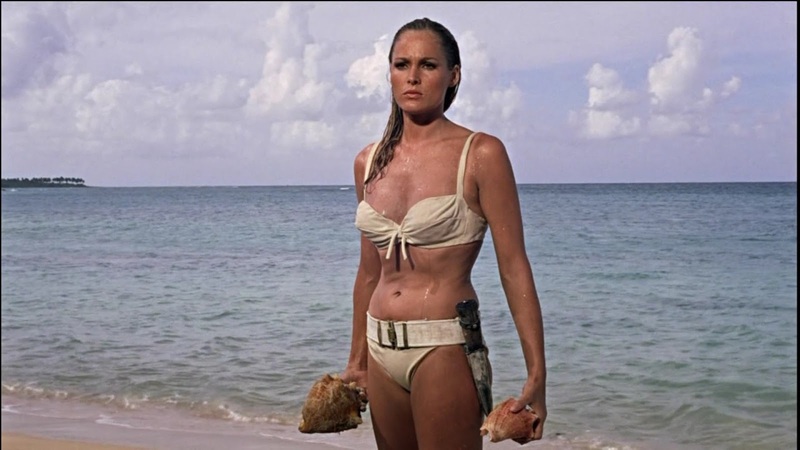 NEXT: The next blog piece will be tackling the (arguably) best James Bond story. I'm not going to confirm if it is my favourite, but many fans love this story compared to the others. 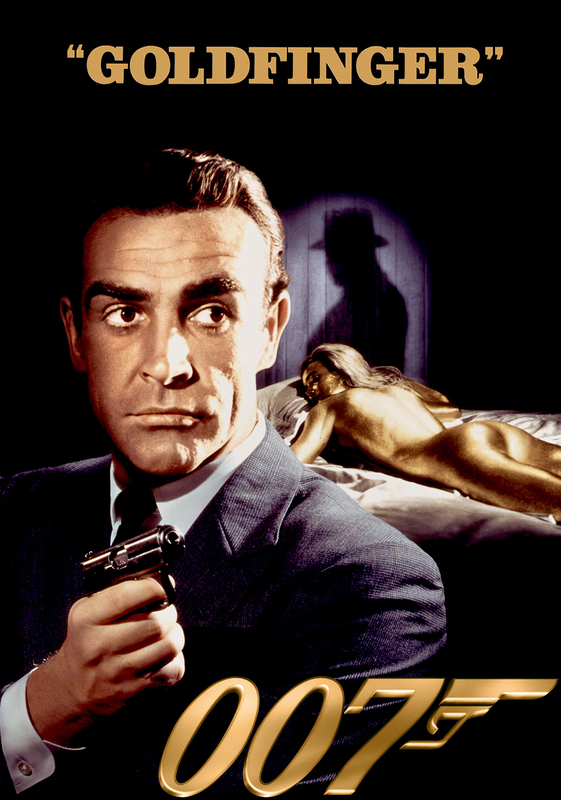 If you're craving gold then be on the lookout for the next post: Goldfinger!